Swansea City striker Fernando Llorente has emerged as a surprise target for Chelsea ahead of the summer transfer window. 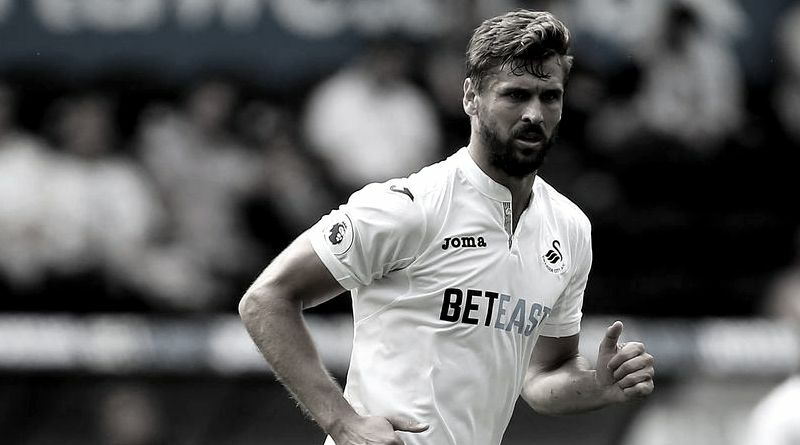 According to the football transfer rumours in Spanish Media, Chelsea are interesting in Swansea City striker Fernando Llorente. The Spain international has joined Swansea City from Sevilla for a fee in the region of 5.9 million euros in August 2016. The 32-year-old has a valid contract with Swansea City until June 2017. Since his arrival from Sevilla, Fernando Llorente has scored 14 goals in 34 games for Swansea City in all competitions this season. The 32-year-old is considered to be one of the best strikers in Spain. Fernando Llorente has represented Spain at Under-17, Under-20 and Under-21 level, winning 16 caps and scoring 12 goals, before making his senior international debut in November 2008. As a member of Spain national football team, Fernando Llorente has won 24 caps and has scored seven goals. The Spain international is thought to perfectly fit the profile of attacking player Antonio Conte wants to target in the summer transfer window. Chelsea manager Antonio Conte wants to continue to strengthening his squad so they’re able to compete both domestically and in the Champions League next season. Antonio Conte will reportedly be handed a huge transfer kitty this summer and the Swansea City striker is thought to be among the manager’s priorities. Euro Football Rumours understood that the Spain international is a player who has impressed many European clubs in the last season, and it is understood that Chelsea manager Antonio Conte would prefer playing him as a forward.